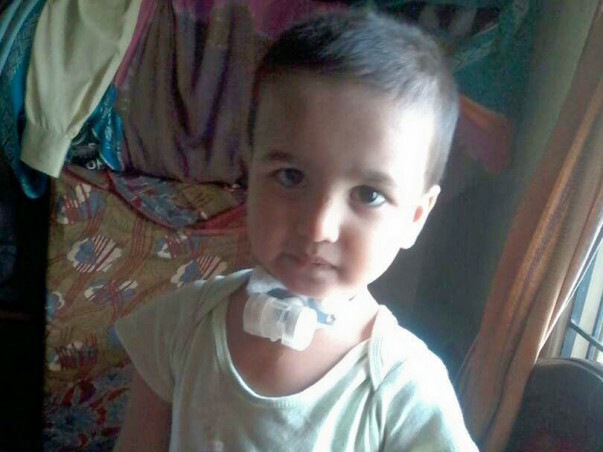 Please help me raise funds for my 3 years old nephew jathin Raj who need to undergo for throat surgery to recover from breathing trouble. 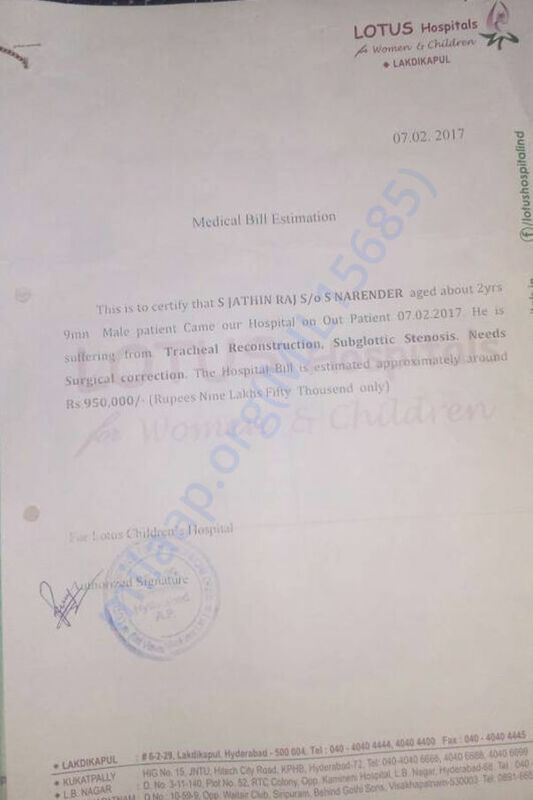 Jathin surgery is postponed to July'17 due to no funds. Please donate for Jathin Raj. 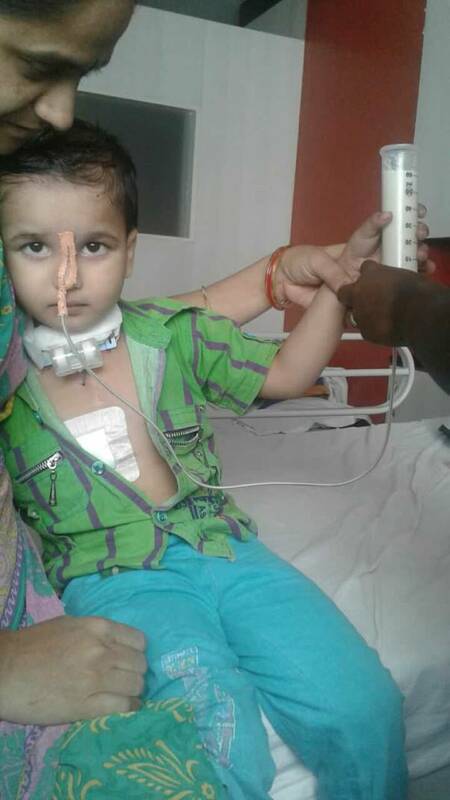 My sister son S. Jathin Raj, age 3 yrs, in 2014 he underwent for Heart Surgery, he has suffered from TOF repair with TAP & bicuspid pulmonary valve reconstruction. 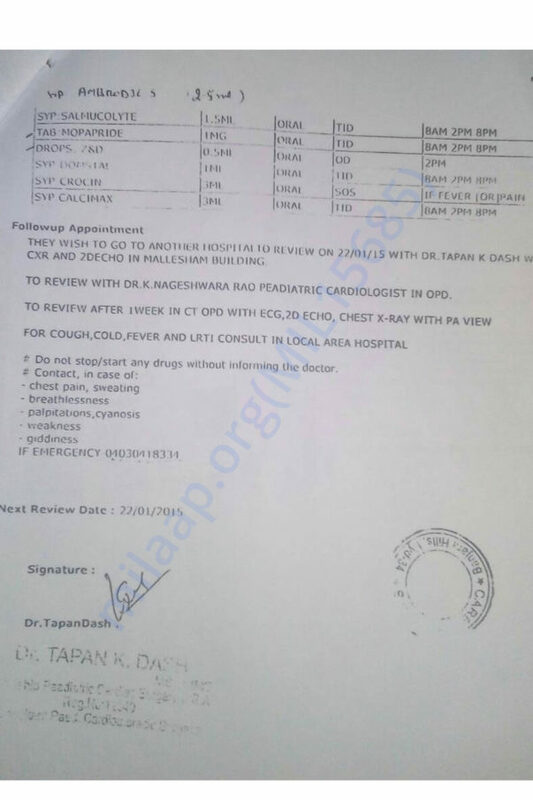 When the master Jathin Raj was in 7 months, the Heart surgery was happened. 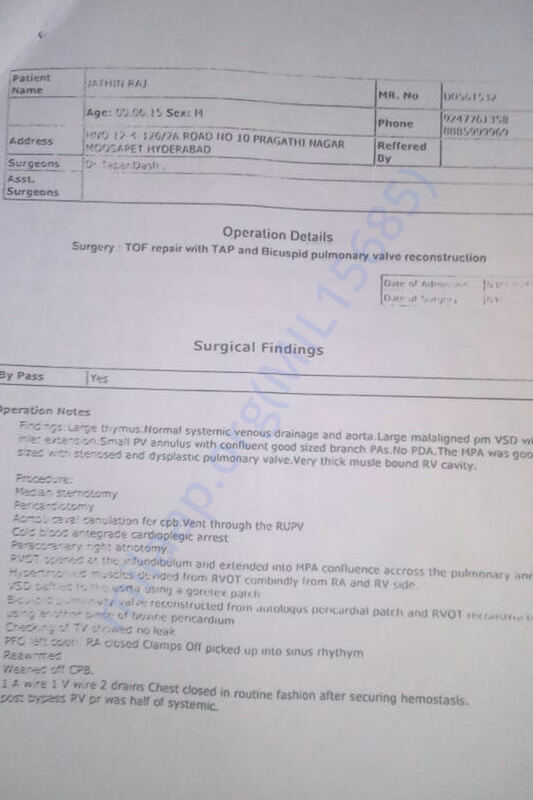 At the time of operation, we stayed in the care hospital, hyderabad for 2 months due to critical position. 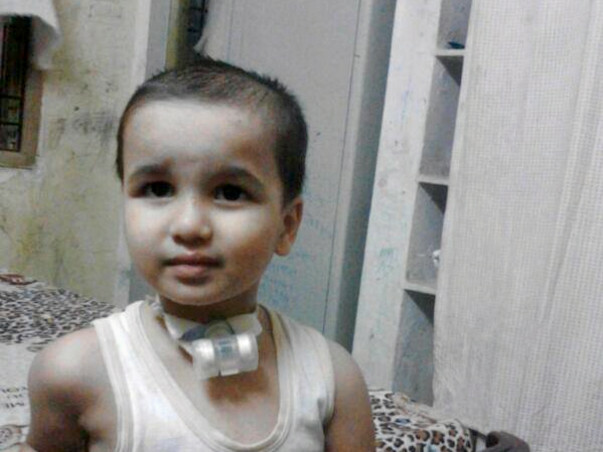 At the time of Heart Surgery, Jathin was on a ventilator for two months, they have inserted C- Pap in to his mouth for two months due to breathing problem, that procedure have done on ventilator. 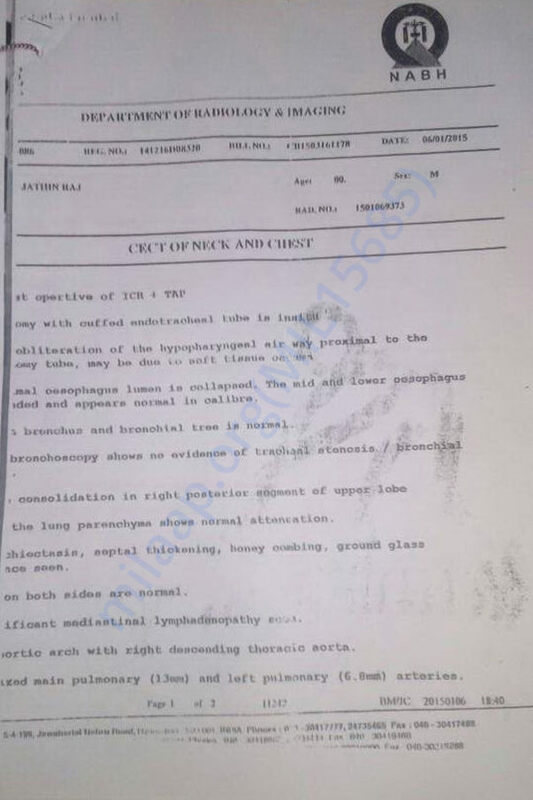 Now still, he is suffering from Obliteration of the hypopharyngeal airway proximal to the Tracheostomy tube, due to soft tissue oedema with collapsed proximal Oesophagus lumen. 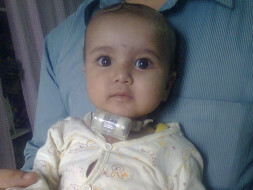 The small kid is suffering from Trachestomy problem from past 3 years, again he required Laryngoscopy Surgery. 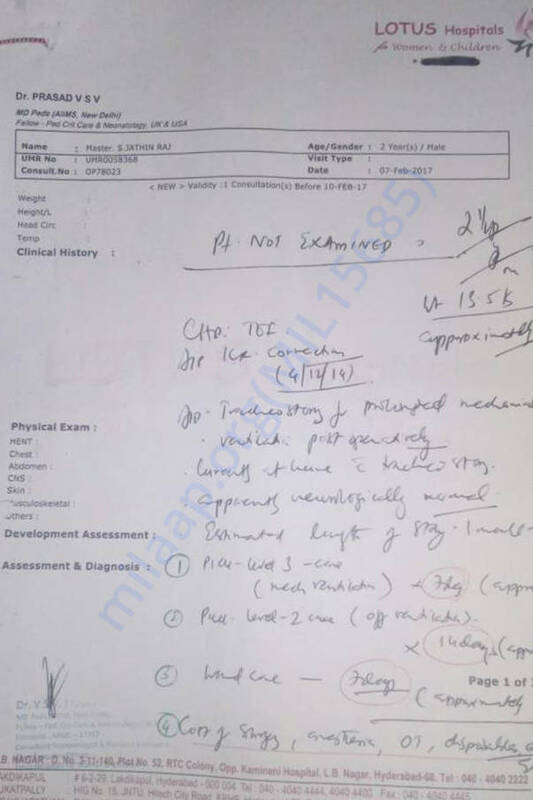 We are in a very poor bad financial situation that we will not operate our child due to no funds with us, the operation cost for Laryngoscopy surgery was around Rs. 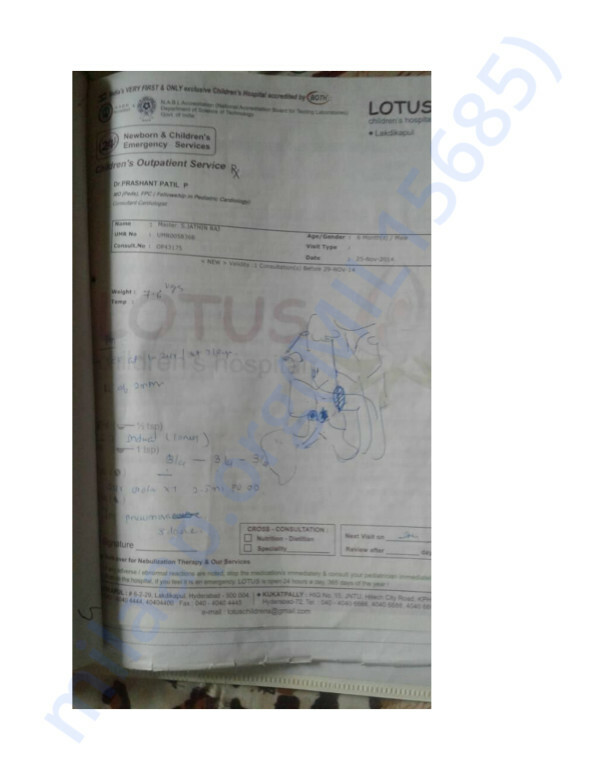 15,00,000/-, estimation has given by Lotus Hospital for 1 month excluding medicines, hospital charges and surgery, if the patient will stay more than one month again they will charge extra. 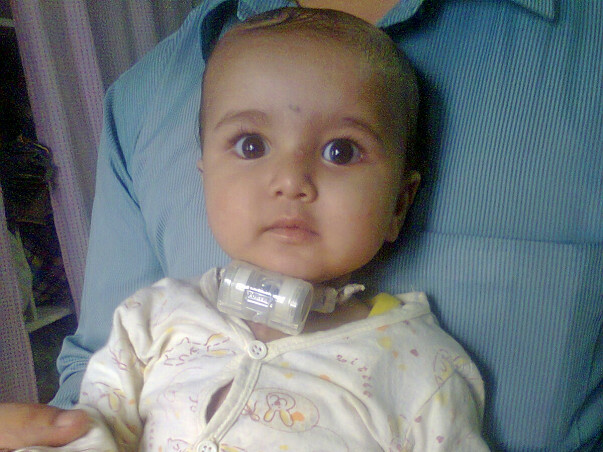 Sir please help me our child he could not able to speak out due to trachestomy tube. 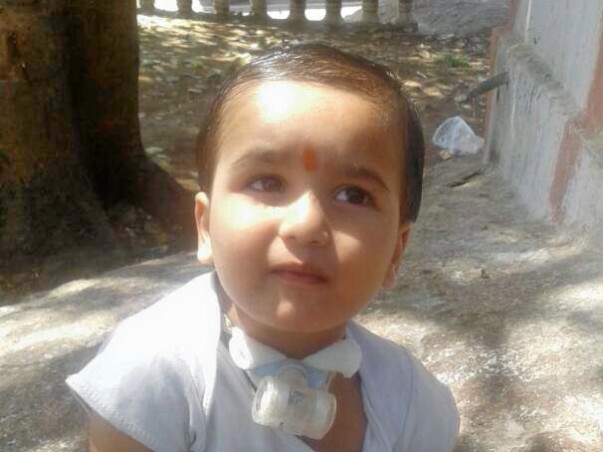 Please kindly help our child Jathin Raj. 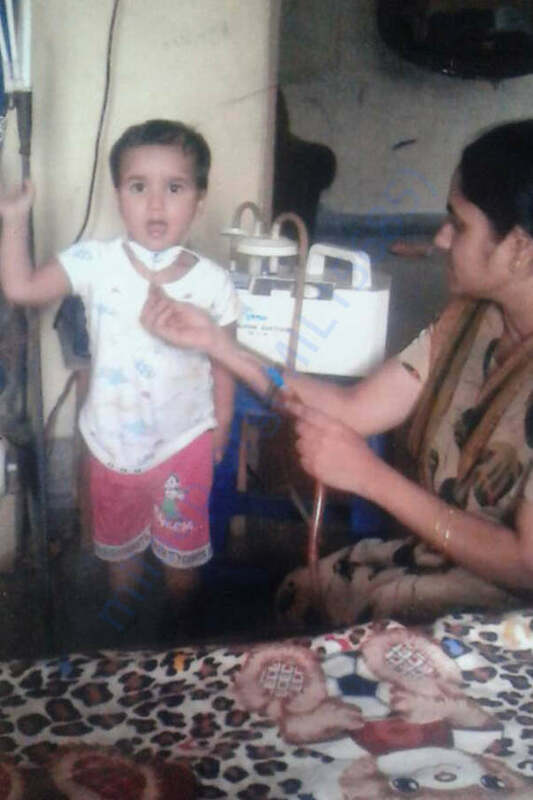 I am requesting all the donors to help our 3 yrs child, we are in in a poor financial crisis please help out our child Jathin Raj. 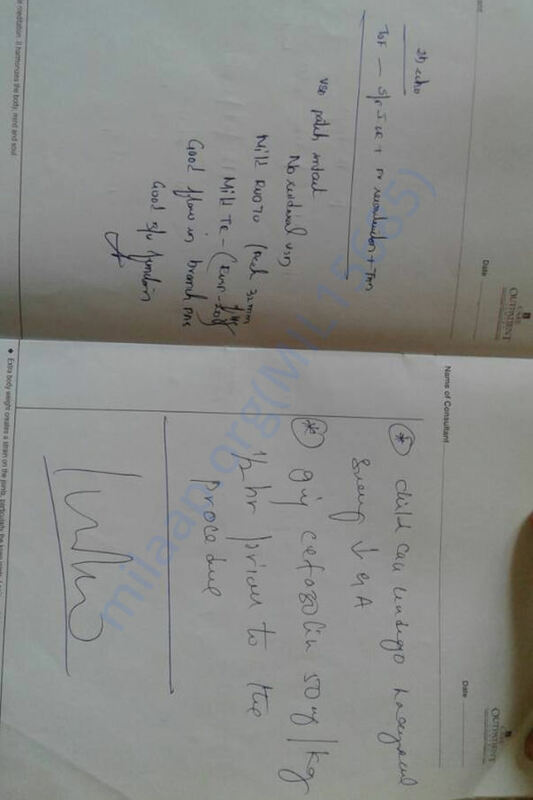 Dr. Prahalladha Chitradurga Karnataka ENT doctor advised to do surgery in the month of May'17, we postponed surgery due to no funds with us. Again Dr. advised to do Surgery in the month of July'2017 at Lotus Hospital near Lakdikapul, Hyderabad. 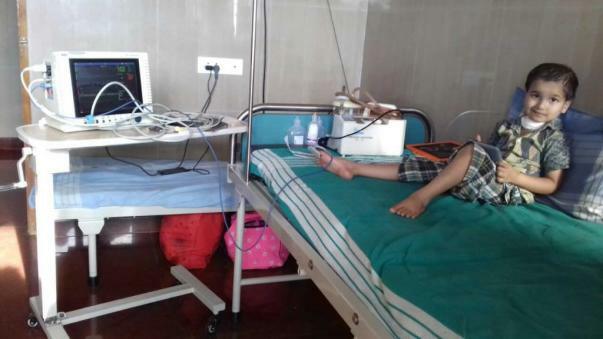 My Humble request to all the donors please help the patient S. Jathin Raj, give a new life to this 3 yrs kid not only Jathin, like so many are there please kindly help them and save their life's. Thank you for showing affection on Jathin Raj. 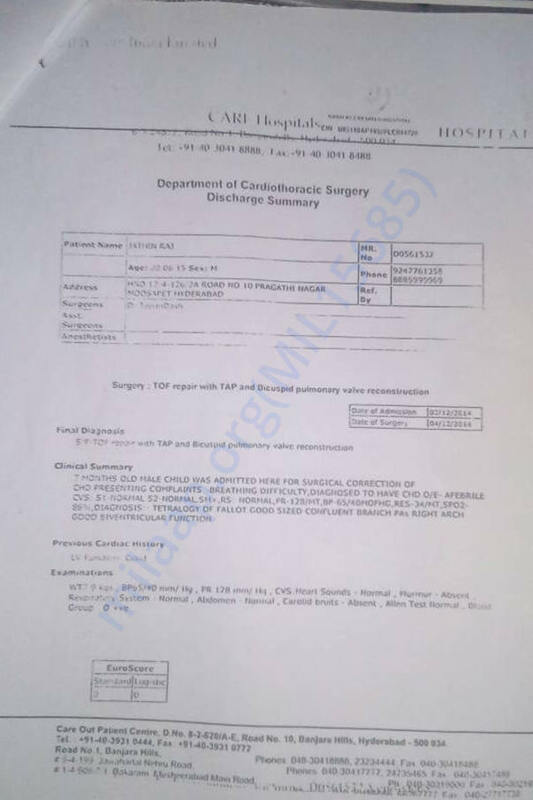 Jathin is still under medical treatment he is unable to speak out he is not going to school due to this problem doctor advised for next surgery as vocal cords are not functioning. 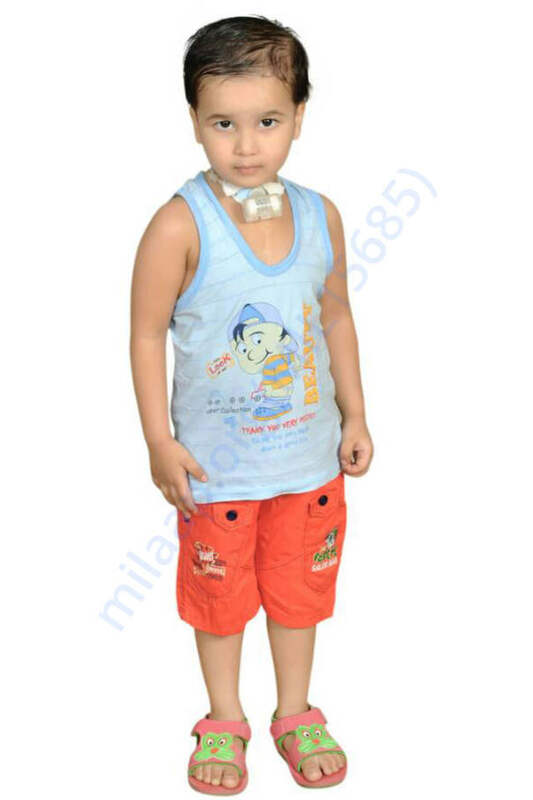 In the meantime, the doctor advised to practice our baby that he himself to breathe, but if we are closing the tracheotomy tube for breathing, he is unable to take a breath. 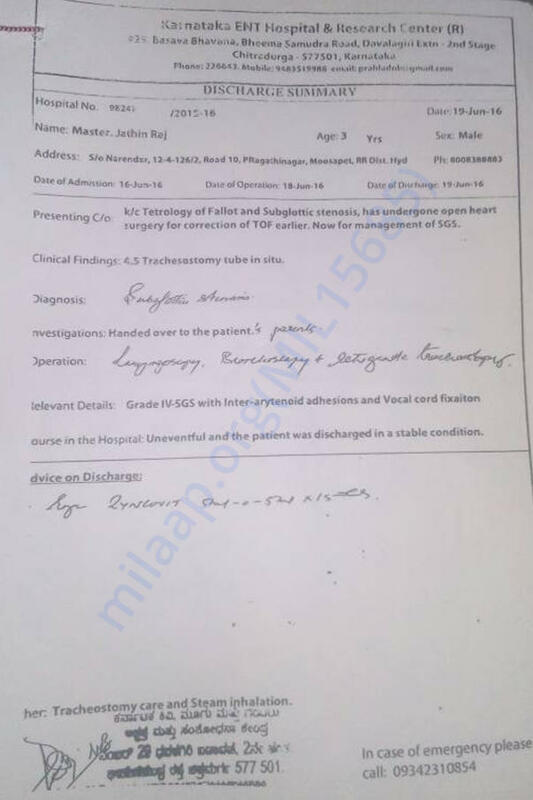 Please pray for our child to recover soon and he himself to speak out & take a breath. We thank you for the support you have shown towards Jathin Raj. May I request you to share this further with your friends/family/colleagues to support for Jathin campaign. Thank you for your tremendous love and support. Right now Jathin is doing okay. He underwent the second surgery. He is still unable to speak and breathe on his own. 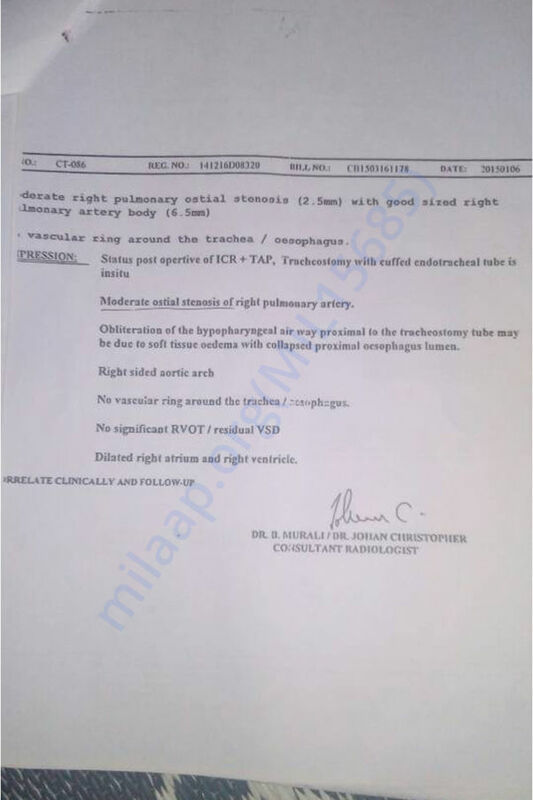 The doctors have inserted a tracheotomy tube to help him recover. The tube is likely to stay for a few months. 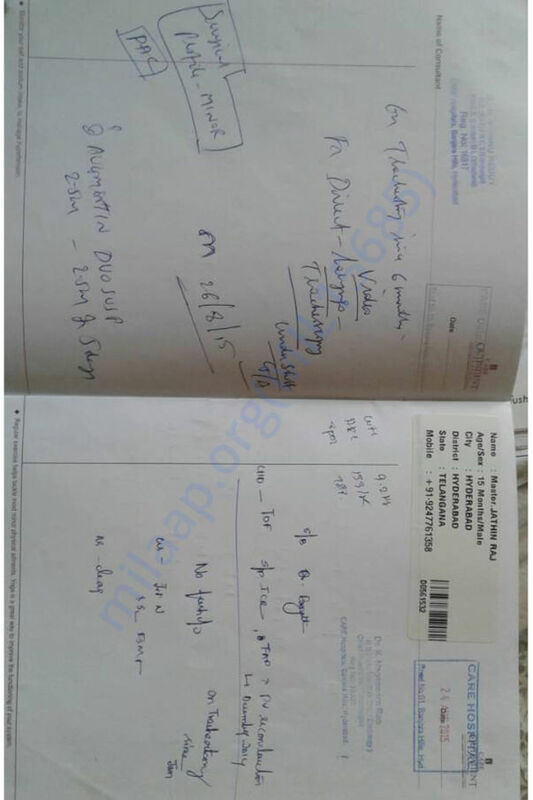 Till then, he has been advised speech therapy and physiotherapy. 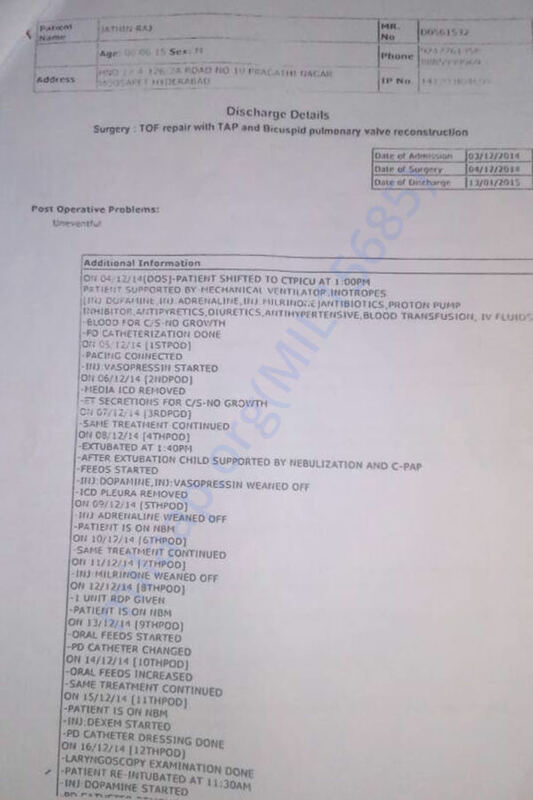 He will undergo a surgery to remove the tube in a few months. We are all hopeful about his recovery. Please keep praying for him. Thank you again! Yesterday, the doctors advised performing the vocal cord surgery after one week, at present Jathin is not feeling well due to throat pain. 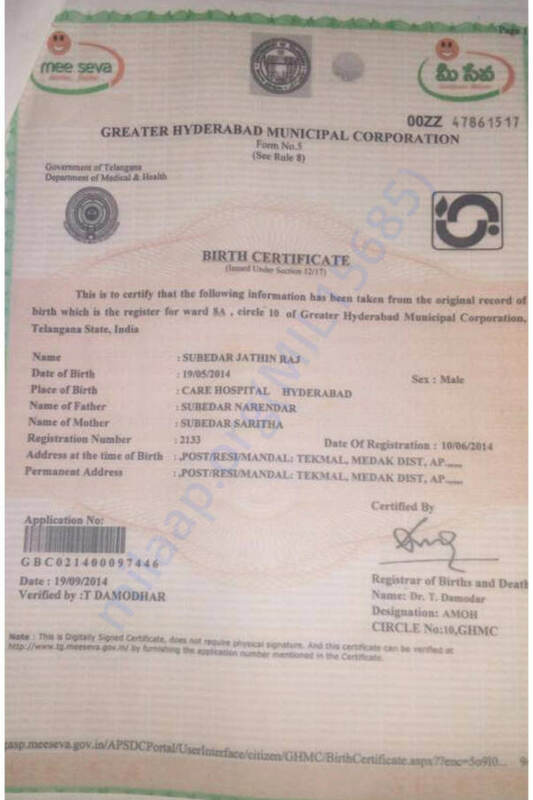 He has been in Karnataka Chitradurga ENT hospital from past 2 and half months. He is able to breathe properly now but he is unable to speak and take deep breath from the nose, as his vocal cords are not functioning. 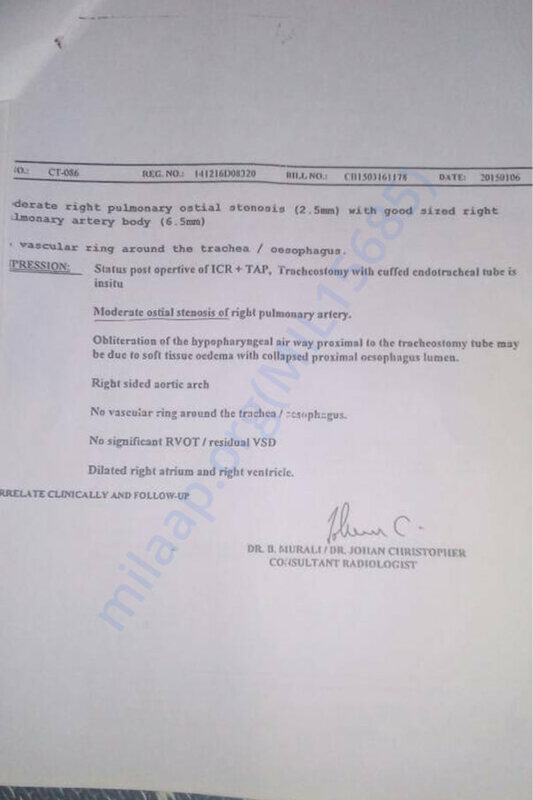 So doctors are advised to do vocal surgery then only Jathin could speak and he can breathe on his own. 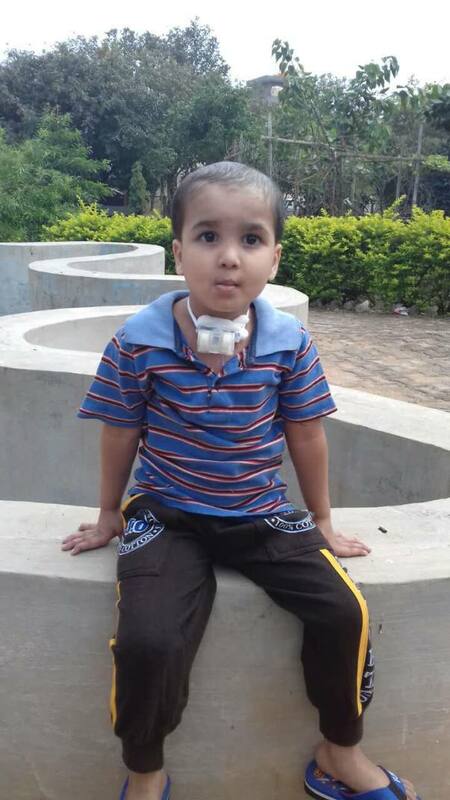 Everyone, please pray for our child Jathin raj that he recovers soon and completely from his breathing problem and he will start talking. Thank you for the support shown towards Jathin raj. Please share this campaign further with your friends and family. Will keep you posted.